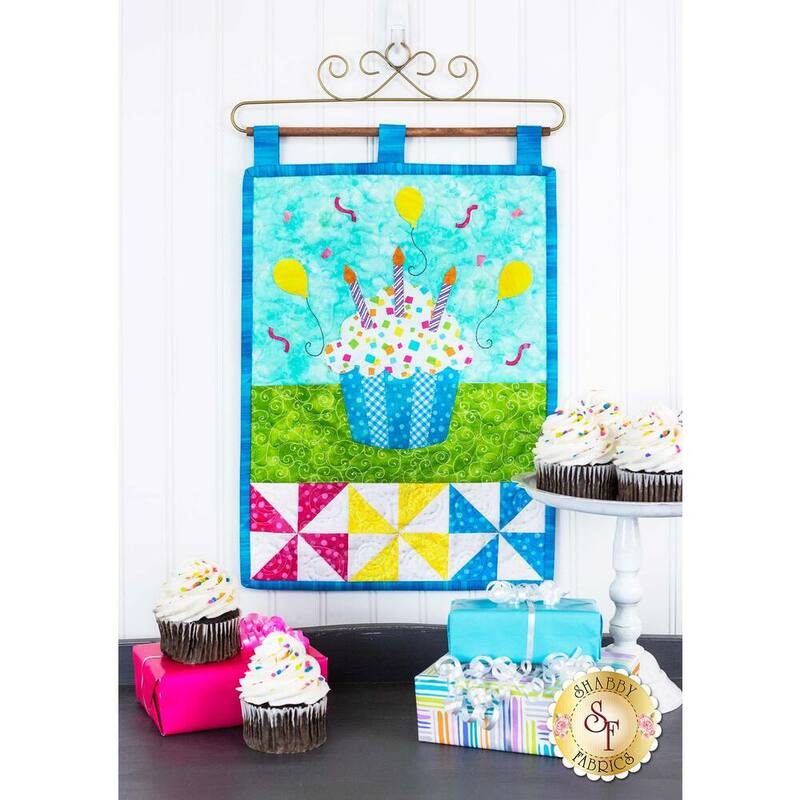 Celebrate birthdays in colorful style with the Shabby Fabrics exclusive Cupcake Wall Hanging! This scrumptious cupcake is perfectly frosted with three bright candles ready to make a wish and add a festive touch to your next family celebration! 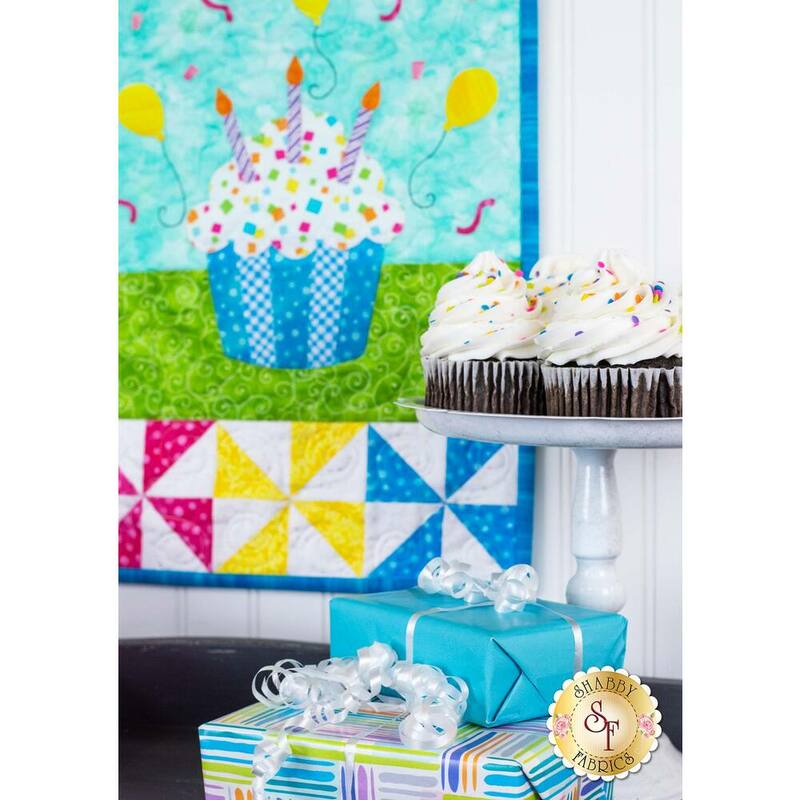 Decorate with the coordinating Happy Birthday Pennant Kit, Cupcake Placemats Kit, Happy Birthday Wall Hanging Kit, Patchwork Birthday Table Runner Kit, and Happy Birthday Pillow Kit! Wall hanging measures approximately 12" x 18". 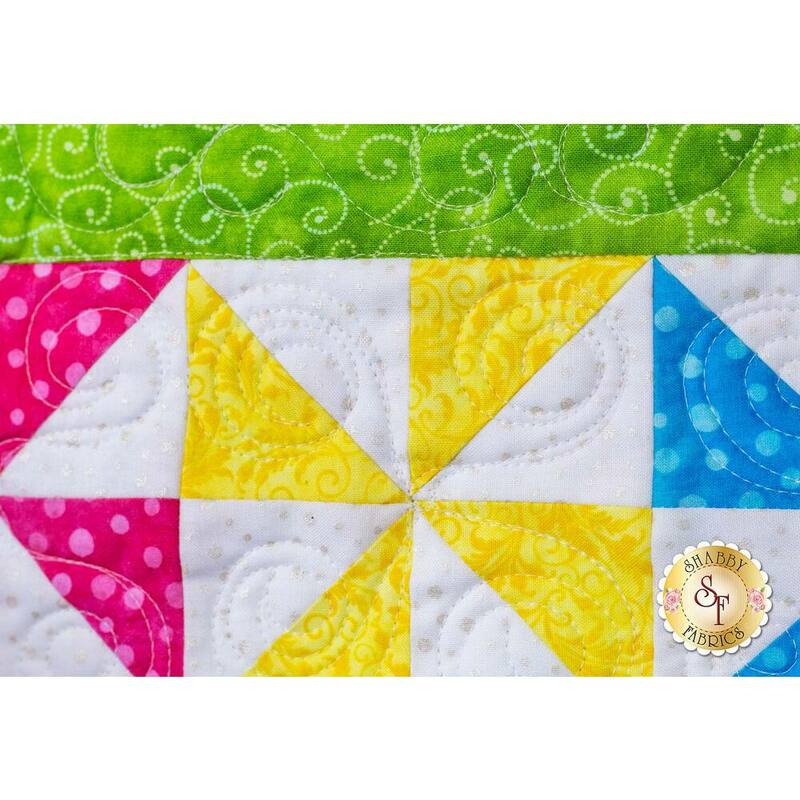 All Top Fabrics, including Binding & Backing! 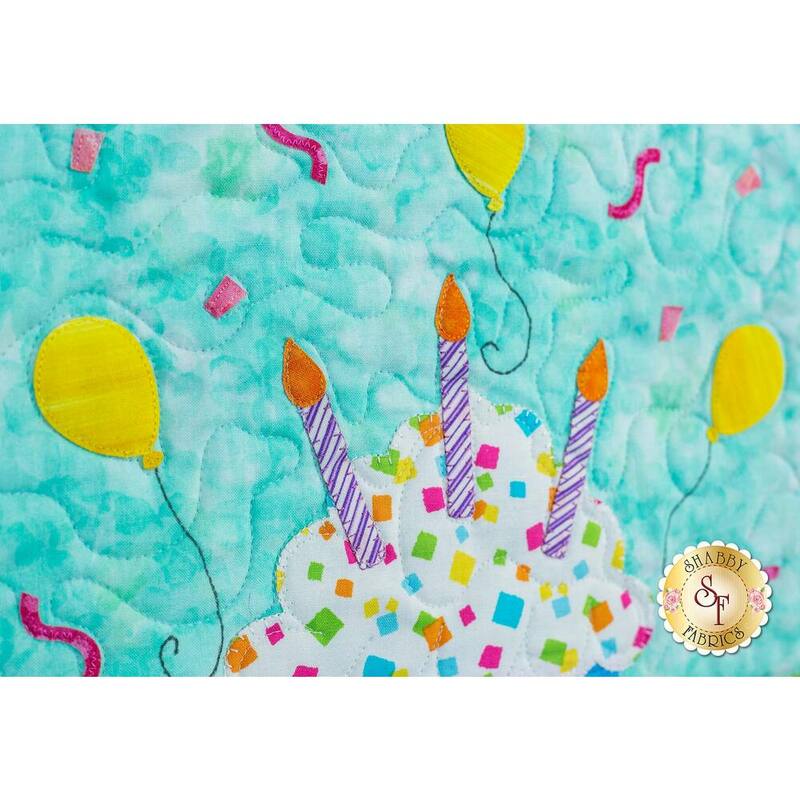 13pc Happy Birthday Thread Set - Carefully coordinated for stitching laser pieces! Craft Holder - Perfect for displaying your finished work!